The first ever KitKat phone is Nexus 5 by Google. The first mobile phone to have an Android 4.4 operating system version in the market. KitKat is the latest version of Google Android. According to Google blog, "Just in time for Halloween, we have two new treats for Android fans. First, we're excited to unwrap our latest platform release, KitKat, which delivers a smarter, more immersive Android experience to even more people. And second, we're introducing Nexus 5—a new Nexus phone developed with LG." Google Nexus 5 specs has a 4.95 inch, 1080p IPS Liquid Crystal Display and Snapdragon 800 processor, I4U News reported. 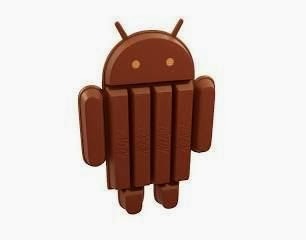 Search engine company hints some of the changes of KitKat, you'll notice it while you are reading, playing, and watching using your smartphone powered by Android 4.4 KitKat. Nexus 5 has also have a storage capacity size of 16GB and 32GB, and you can expect for longer battery life. For the meantime, please bookmark this page now or visit this site more often for you to be updated. You may also share this post to your friends so they may know about The First KITKAT phone of Google. Comments or suggestions about "KITKAT phone soon to Release by Google " is important to us, you may share it by using the comment box below.